Until now, there hasn’t been a true 4K computer monitor that can plug into Thunderbolt ports, but LG may have solved that problem with a new display it introduced on Wednesday. 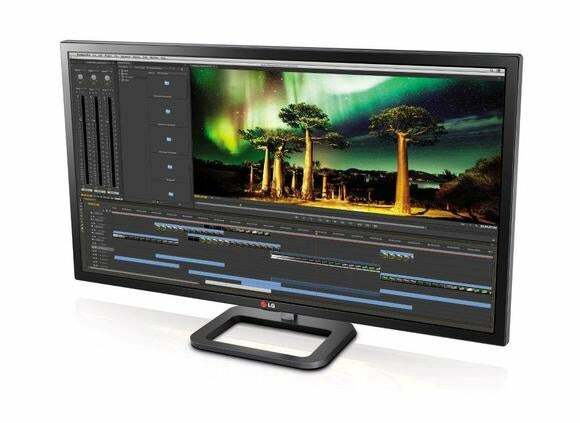 The 31-inch LG 31MU97Z is the first 4K display with Thunderbolt 2 ports, and it is being shown at the NAB show in Las Vegas. The display shows images at a resolution of 4096 x 2160 pixels. Users can directly plug the 4K monitor into a computer’s Thunderbolt port without the need for an HDMI or DisplayPort adapter. LG wasn’t immediately available to comment on price or when it would ship. Most Apple Macs have Thunderbolt ports. LG did not immediately say if the 4K monitor would work with Macs, but previous LG Thunderbolt monitors are compatible. A handful of Windows PCs also have Thunderbolt ports. Some Mac users have lamented the lack of a Thunderbolt-compatible 4K monitor. The new monitor could be particularly handy for users of the Mac Pro desktop, which is widely used by film makers and graphic artists. The 4K monitor supports 10-bit color depth and has two internal 5-watt MaxxAudio speakers. It has two Thunderbolt 2 ports. Thunderbolt 2 stands out for its ability transports data at speeds of 20Gbps (bits per second), which is two times faster than the upcoming USB 3.1 protocol. However, Thunderbolt 2 is expensive, and few peripherals are available. Most are storage or multimedia peripherals.